More than 5,000 scholars from over 50 countries: six times a year we invite qualifying teams from all over the world to join us for Global Rounds that bring together our entire international community. 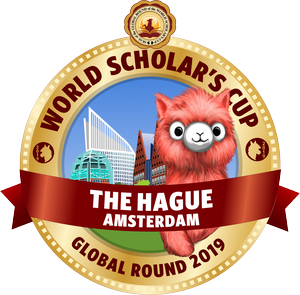 The Global Round at the Hague (July 21-26) will take place at the World Forum in one of the Netherland's most beautiful and historic cities. Last year's European Global Round (in Barcelona) was the most diverse Global Round in program history, and the Hague will be even larger and more vibrant: we expect over 2500 participants from 50 countries. Just as at our other two Global Rounds, many of the top teams will earn invitations to our annual Tournament of Champions at Yale University. We encourage all participants to stay at one of our recommended hotels. Special negotiated rates include WiFi, breakfast and city tax. All rates mentioned below are for double rooms. The rates for single rooms are lower. Please click here to view the hotel brochure. Online reservation system for groups requiring five or more rooms. Please email our official ground partners, Kuoni Congress, at [email protected] in case you require assistance. The World Forum is well connected by public transport - trams and city buses. Please note that seats on the optional shuttle bus from official hotels to and from the World Forum are available for advance booking at a nominal fee of $90 per person; please reserve seats through our online reservation system. Transportation is provided at no charge from all hotels to the debate schools and from the Scholar's Social to all hotels. Airport transfers are being offered by Kuoni Congress, our official ground partner. Optional excursions include a city tour of Amsterdam with a canal cruise, a visit to Efteling theme park, and a tour of Rotterdam with Delft. Excursions will be offered for the senior division students on July 21 and July 25, and for junior division students on July 24 and July 26. Please click here for details and pricing for the optional excursions. Can't make it to the Hague? Learn more about our Beijing and Sydney Global Rounds, as well as our lower-cost and more accessible Astana, Manila, and Durban Mini-Global Rounds! Held in June, August and September, all rounds offer the same events and Tournament of Champions qualification opportunities as in The Hague.